Henrikh Mkhitaryan ruled out. Bastian Schweinsteiger doubtful (knock). Adam Federici, Callum Wilson and Simon Francis ruled out. Jordon Ibe fit. Association Football Club Bournemouth - nicknamed The Cherries, and Boscombe - are a professional football club based in Bournemouth, Dorset. The exact date of the club's foundation is not known, but there is proof that it was formed as Bascombe FC in the autumn of 1899 out of the remains of the older Boscombe St. John's Lads’ Institute FC. Nicknamed The Cherries (Dean Court was built adjacent to the Cooper-Dean estate, which encompassed numerous cherry orchards), the team traditionally played in red shirts with white sleeves until 1971, when the strip was changed to red and black stripes, similar to that of AC Milan. Bournemouth have spent 69 seasons in the second division of English football, and this is their second season of participation in the top tier of English football. 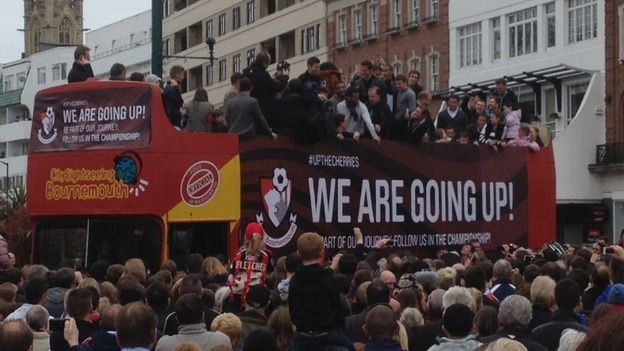 Bournemouth's biggest rivals are Brighton & Hove Albion, Reading FC and Southampton FC. They play their home games at Dean Court, Bournemouth. Any chance Mkhitaryan will be back? A comfortable performance and win please. As much as I love to see the games coming through thick and fast, we could do with a break going off of today's game. A whole week of rest, what a joy! Liverpool play Arsenal. Must win this. A nice break before it goes berserk. No turning back after this match, unless we get dumped out of the other cups. Have to win with Pool playing Arsenal. Our last period of rest before the madness of March. Hopefully everyone who needs a break will get one and come back ready to work. Another good month keeps us on course for a magnificent season. As for this game on paper it looks about the easiest start to this tough run we could have wished for. If we stay professional we should get the job done. Quite a few of the squad may get a rest when the internationals are played. Of the ones certain or likely to be called up some like Rashford or Rooney haven't played that much this season anyway and others may not even play. For once an international break may come in handy. Fair enough, it's the same 'treble' we've laughed at Liverpool for celebrating in 2000/01 and would not be in the same league as '99 or '08. However in the scheme of things and where we have come from in the past three years I think cleaning up those three cups and finishing our league campaign strongly would be a pretty magnificent achievement. Then you're really spoiled as a fan. 3 trophies and a solid if unspectacular league campaign wouldn't be magnificent? 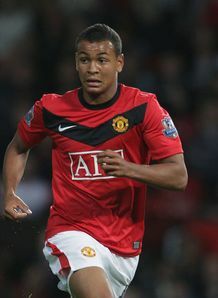 It would have been classed as such under Fergie. Fair enough, it's the same 'treble' we've laughed at Liverpool for celebrating in 2000/01 and would not be in the same league as '99 or '08. To be fair, we mocked them for calling it a 'treble'. I don't think anyone knocked the achievement of winning the cups. We have a good bunch of fans and generally most are still calling it the 'Mickey Mouse Treble' and would do if we managed the same feat. I can't imagine any United fans commenting with "Treble Winners" en masse if we secured the remaining available trophies. True, I should have made it clear I meant we laughed at some of their fans calling it 'the treble' after what we'd done two years earlier. I absolutely think it was a great achievement in its own right and would be fantastic for us to do this season. But yes I would hope our fanbase wouldn't go mad with talk of trebles. I'm with you, don't think it'll happen. It's just a term but we can draw the line around calling it a hat-trick of cups. If it happens that is. It would be a very, very good season tho, right? Liverpool play Arsenal next game, huge chance for us to go above one of them. I hear you, but much needed break! Brilliant to have a week until the next match! Must win, per usual.. Agreed. Most important thing is a CL spot. If we can achieve that along with a trophy or two it would be really great. If we celebrated league cup like today imagine the celebrations if we win EL. Calm before the storm, games will be twice a week after. Even if mkhitaryan is fit he won't be required for this game, plenty of games for him later. Both. It's a trophy we never won and it's a route to the CL. United should aspire to win every cup in which it's competing in and despite the fact CL is of course better it's still a good competition. It's also a trophy we've never won before and we're in a unique opportunity to win it. Sure, it's not the CL, but what's not to be excited about? Unless it's the League, CL and FA Cup I don't think many will. We know what the proper treble is because we are the only EPL club to do it. By the time this game comes around it will be FOUR months since we last lost a consequential game of football. The only loss in that time was to Hull in a two-legged affair when it was a good enough result to win the tie regardless. Win this and we go 5th. EDIT - or not if the dippers win tonight. We have 5 days rest before this one but it is funny that we get the very earliest possible kick off time of the weekend. Bournemouth are an attacking side so I think we'll go 4-2-3-1. I think Fergie has spoilt it for us. But if you just take the last 3 seasons, winning all this would be an incredible achievement. If this was offered at the start of the season, I would not think twice. Next season is when we can start aiming for the big trophies. Would like to see this line up. Hope Mkhitaryan is back by then. The injury didn't look that serious. After last night's performance, I'm not sure who our best CBs are anymore. Bailly will definitely play as he is suspended for the Europa game. Also, I think Blind will play LB. The game against Chelsea might change that. Don't want to be too pessimistic but with the amount of games we are playing, we might not be able to match Chelsea's intensity especially with Kante chasing our players down like a possessed demon. Stamford Bridge has always been a tough ground for us. The last time I remember us beating them there was the CL semifinals in 2010-11 I think. Glad that there is almost a week's gap. Give players 1-2 days off, Jose. The tiredness was pretty evident yesterday. The players have Monday and Tuesday off. Shaw should be back.. We struggled against width.. I'd like to see Rojo in the middle and Shaw LB.. So might Rostov too. If this run continues for another two weeks I'll be very pleasantly surprised.